Sweet Cheeks Adventures: Big Little Movies on DVD June 2nd! Big Little Movies on DVD June 2nd! Oh, do I have a great group of movies for you here! The Big Little Movies being released on DVD this week are really great ones! As you can see, Cooper has his favorite of the 3, but Allyson chose a completely different one! 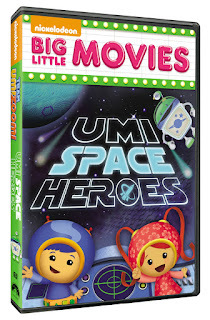 Cooper goes for Umi Space Heroes. Ally chose Dora's Explorer Girls: Our First Concert! Something a little different when it comes to Big Little Movies when comparing to your typical Nickelodeon collection, these DVDs have only 1 episode on them. They're each about 45 minutes long. Typically Cooper will get bored because the episodes will change so frequently. I like that with these, he can sit for the 45 minutes, I can get some work done and he learns a little something! Ally really enjoyed the Explorer Girls! They'll take you on an adventure and end with a concert! When I asked Allyson what she likes about this specific DVD, she said "the way they all worked together and the music!" So, there you have it! 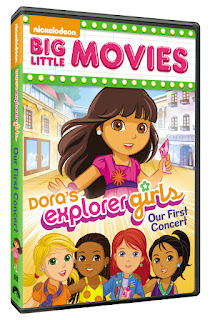 To round out the Big Little Movies being released, we have a second Dora the Explorer movie! In Dora Saves Fairytale Land, there are flying witches, a kind lion and of course adventure! You just can't have Dora without an adventure! We are enjoying each of these videos on a regular basis. Keep reading below to learn a little more on the stories! 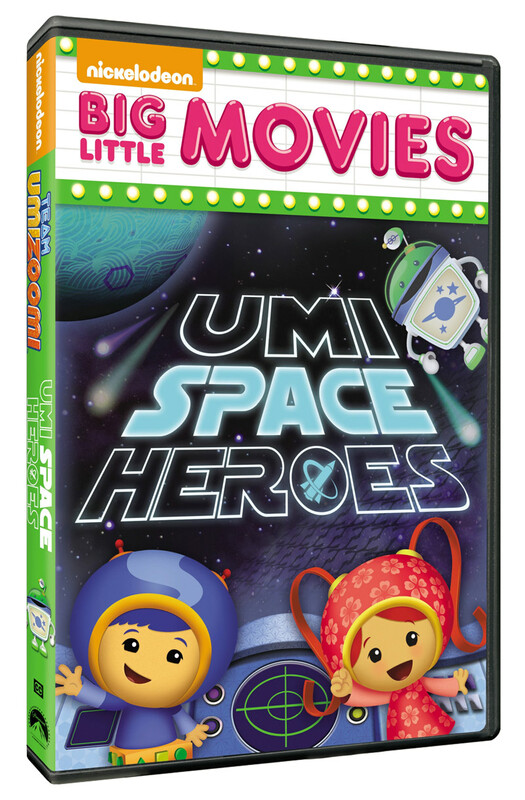 Milli, Geo and Bot are zooming into an out-of-this-world adventure in this brand-new DVD, Team Umizoomi: Umi Space Heroes. When the moon is blown into four pieces by The Trouble Makers, it’s up to Team Umizoomi to embark on an intergalactic adventure and use their math and problem-solving skills to save the moon. 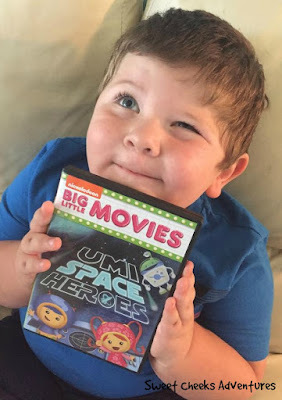 Created by Nickelodeon and distributed by Paramount Home Media Distribution, Team Umizoomi: Umi Space Heroes will be available on DVD on June 2, 2015 for the suggested retail price of $12.99. Nickelodeon’s enchanted special, Dora the Explorer: Dora Saves Fairytale Land, is coming exclusively to DVD before its TV premiere. In this extended magical adventure, Dora and Boots must travel deep into the Never-to-be-Seen-Again Forest to the Sparkling Lake in order to bring magic back to Fairytale Land. 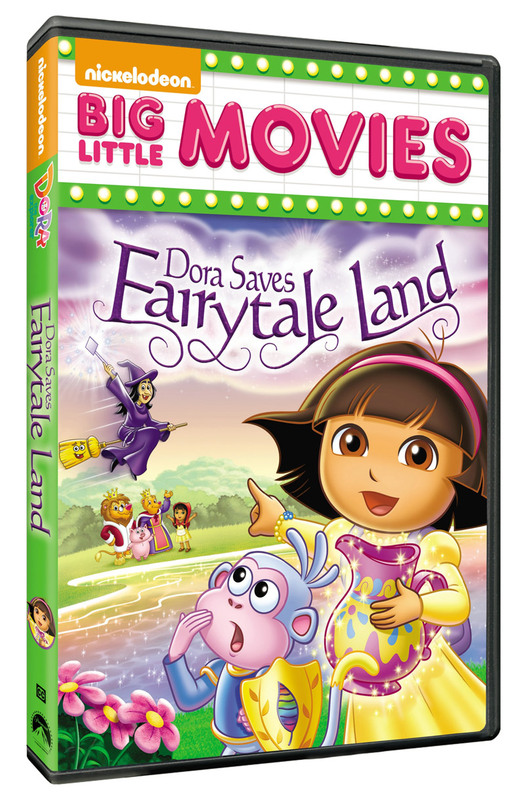 Created by Nickelodeon and distributed by Paramount Home Media Distribution, Dora the Explorer: Dora Saves Fairytale Land arrives on DVD on June 2, 2015 for the suggested retail price of $12.99. Dora and her Explorer Girls are ready to take the stage in the Dora’s Explorer Girls: Our First Concert! DVD. However, when their tickets get mixed up with charity donations for the show, Dora, Emma, Kate, Naiya and Alana must embark on a musical adventure through Puerto Verde to get their tickets back and make it to the show on time. 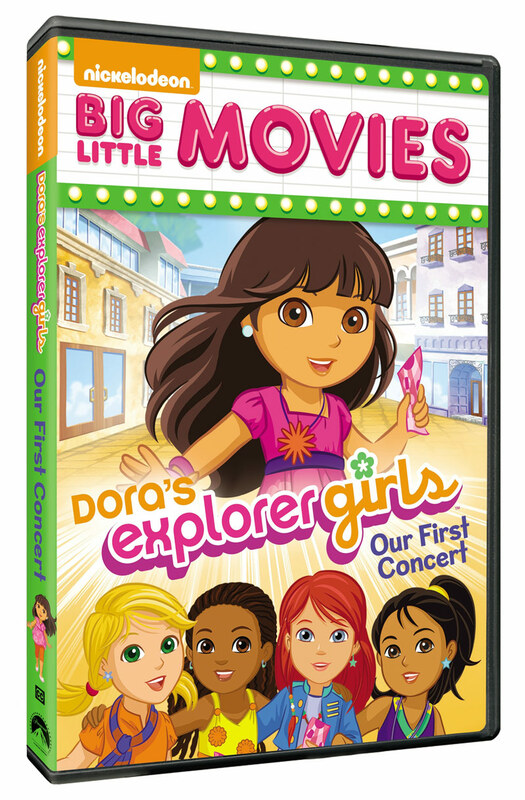 International pop star Shakira guest stars and performs her original song “Todos Juntos.” Created by Nickelodeon and distributed by Paramount Home Media Distribution, Dora’s Explorer Girls: Our First Concert! arrives on DVD on June 2, 2015 for the suggested retail price of $12.99.